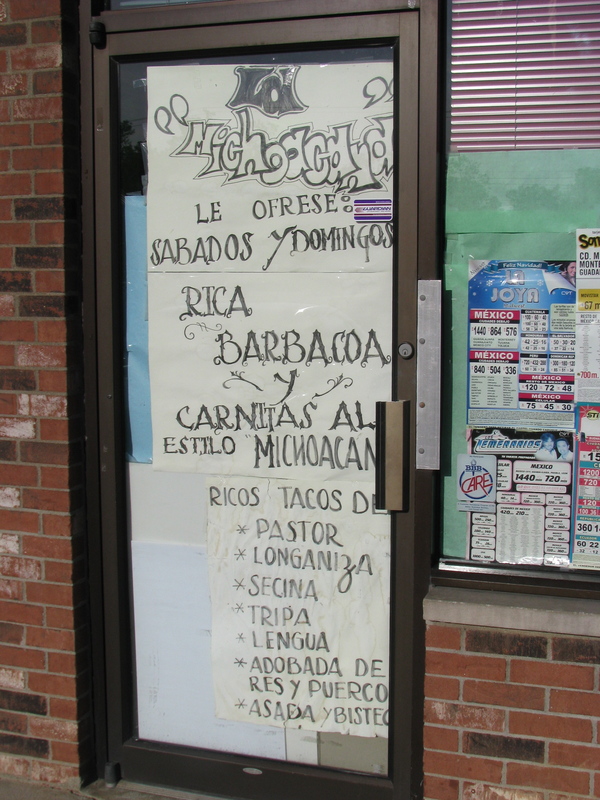 The former (and original) La Michoacana has changed both name and ownership, but the menu and the food are mostly the same. We still love their Michoacana style steak (see original post below). 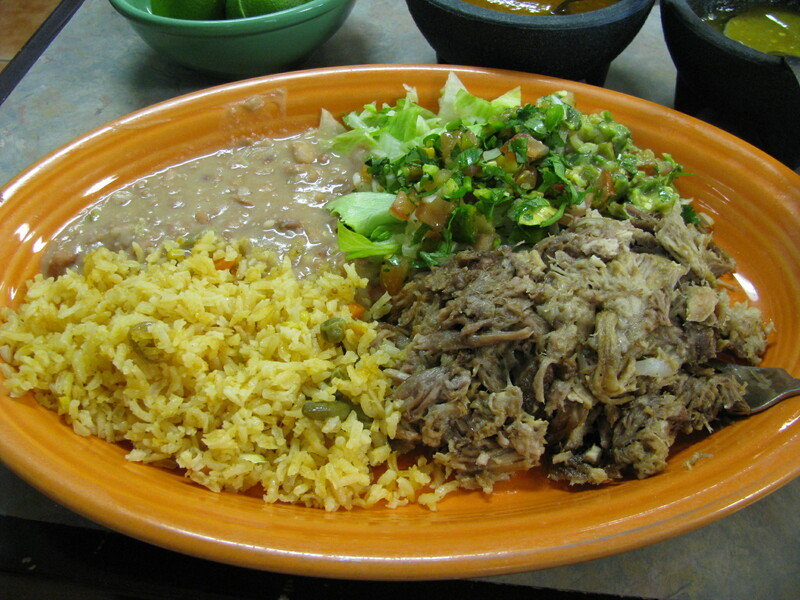 La Favorita offers daily specials including the excellent carnitas (roast pork). Other specials are caldo de res (beef soup), caldo de pollo (chicken soup), caldo de albondigas (meatball soup), siete mares (seafood soup), pozole (pork and hominy soup), menudo (tripe soup). 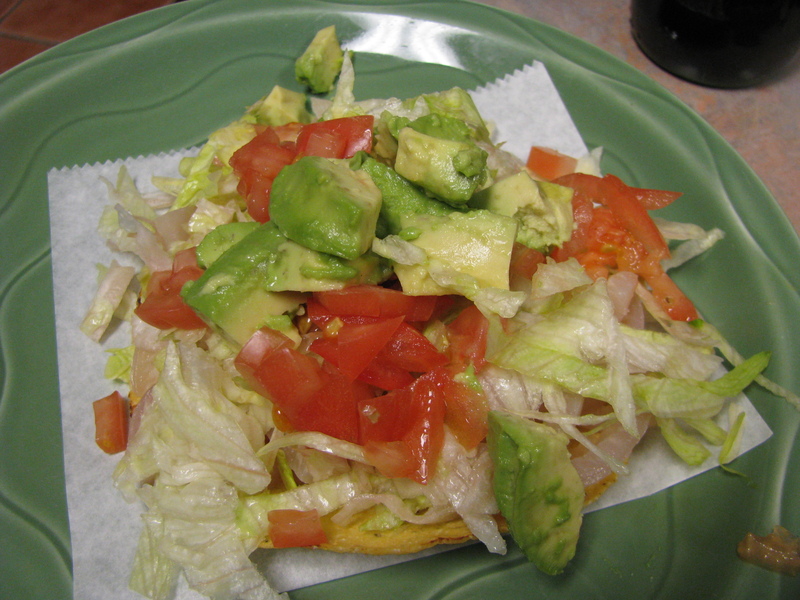 One new item we discovered on our recent visit was tostada de cueritos (pickled pig skin). This is apparently a popular summertime dish. It’s not actually skin, it is strips of fatty cartilage beneath the skin which are boiled, braised and pickled and then served on a tostada. 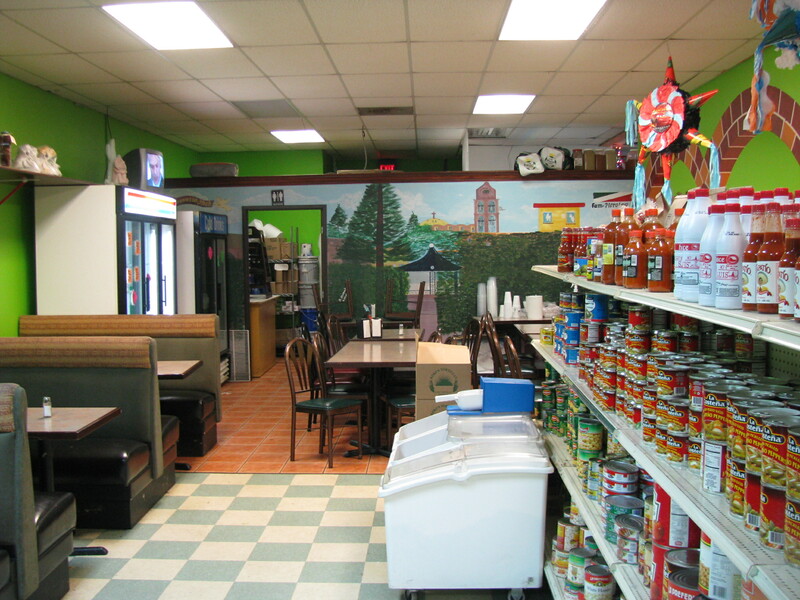 La Michoacana is a chain of Mexican markets – some with food service – that are found all over the city. We’ve been to quite a few of them, ate at at least one, and concluded (to put it diplomatically) that the chain’s core competency lies on the grocery side of things. Ccontrary to that conclusion, not all La Michoacanas are created equal. We’d heard from several people that the Sawmill location was unusually good, but put that info on the back burner until our most trusted source for all things Mexican practically begged us to join her there. We did. Making our way through the grocery section, we found our seats in the dining area at the back. Our server came to take our order, and we put in for a Michoacana-style steak, an order of carnitas (a weekend special), a milaneza torta, and a bowl of menudo (also served only on weekends). 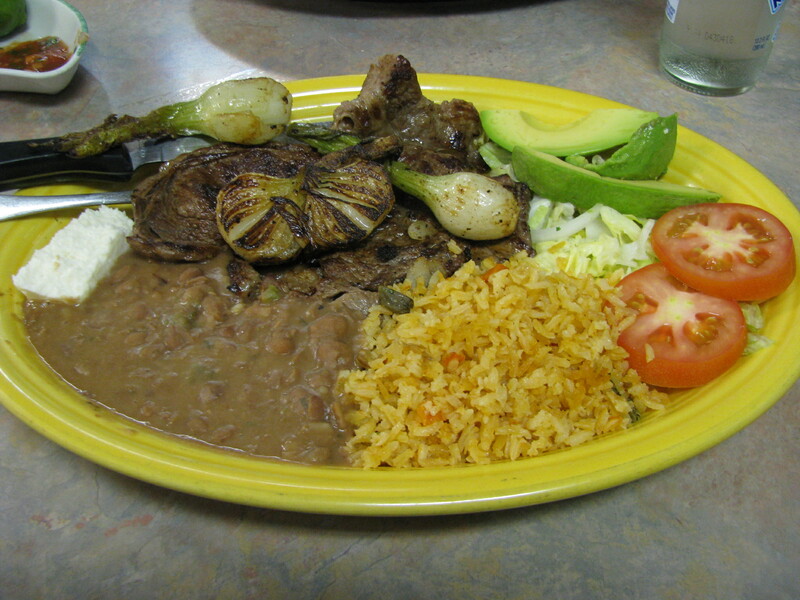 We tried the Michoacana steak dish first, and it was good. Surprisingly tender, flavorful, salty and best with a generous squeeze of lime. We were already sold. But then we tried the carnitas and it was the best we’ve had in Columbus. Not really roasted pork, this is more like confit of pork and it’s highly cravable. I should add that the beans, simple as they may seem, are also excellent at this modest little grocery store. 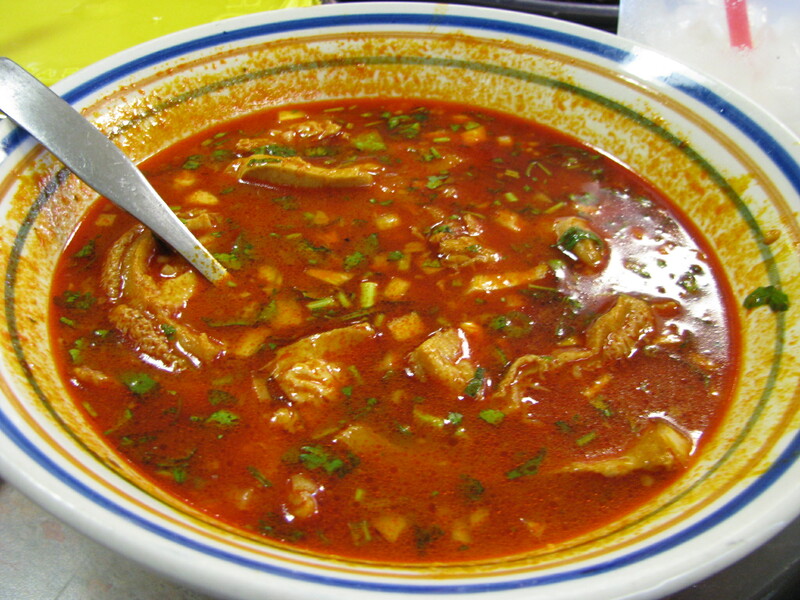 The Menudo here is the hangover cure of choice for Mexicans all over the city and again deserving of superlatives. La Michoacana also does a great job with it’s Tortas and other taco truck fare. The NW of Columbus is sadly lacking in taco trucks, but this is where Dublin residents can fill their taco truck food cravings. 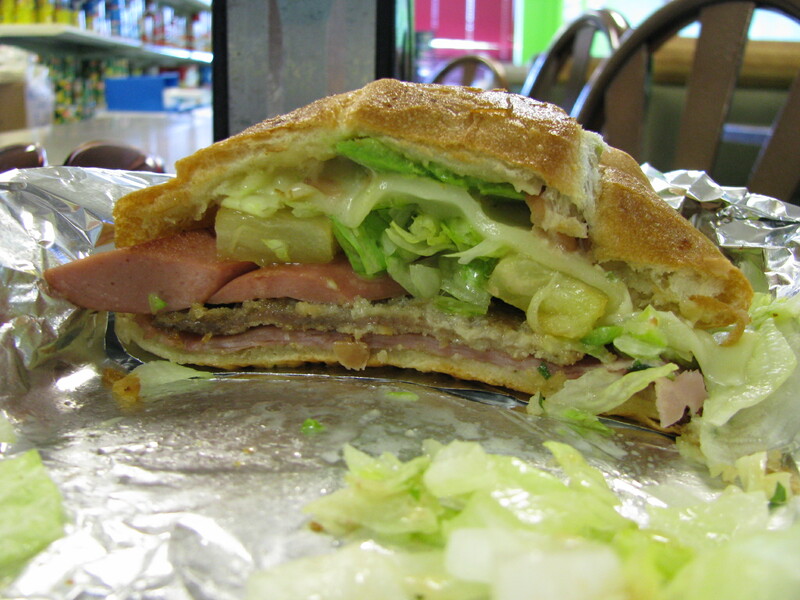 This is the Hawaiiana torta with ham, pineapple, milanese (breaded steak), hot dogs, cheese, salad and avocado. Did you know that Mexican hot dogs are generally made with chicken? If you have a sweet tooth there are some dessert offerings by the cash register and a freezer case of paletas (Mexican popsicles). As it turns out, this La Michoacana was the first of many in town. The family that started the chain has long since sold off the rest of the locations to others – which probably goes a long way towards explaining the conspicuous variations among them. While all are great places to shop, this Michocana is the place to eat! This entry was posted in Grocery store, Mexican, Restaurant and tagged carnitas, menudo, michocana, steak, torta. Bookmark the permalink. The restaurant at the Morse Rd location is very good. Unlike the Sawmill location it’s more closed off from the groceries. We thought we were in Mexico! The portions are large and prices very reasonable. We stopped at the store’s bakery on our way out and took a few things home to try! Delicioso! We go to the one on Morse Rd and I feel stuffed even thinking about it!! Great food, nice people! We always get too much and somehow manage to eat it all! The grocery is a nice add on too. 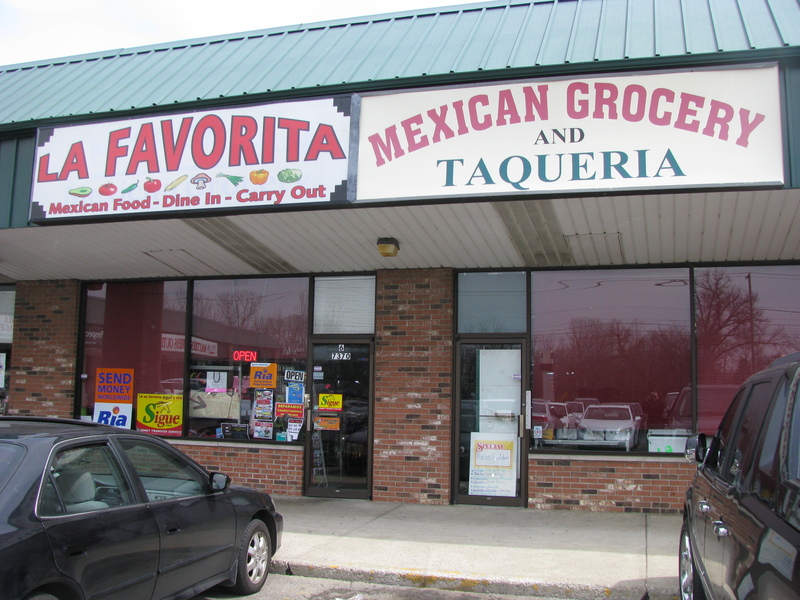 La Favorita on Sawmill Rd. 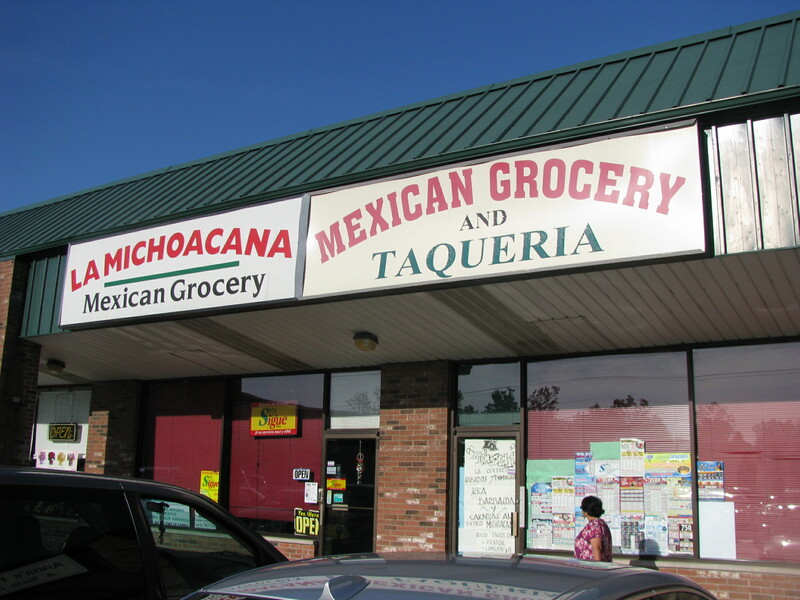 was at one time named La Michoacana; however, it was never related to the other Michoacana markets in Columbus. I used to work a job where I traveled around to the diifferent mexican markets and restaurants. I can say, that in my opinion, the quality of the food and the flavor far exceeds the others. The name has changed but the carnicero (butcher) is the same. The instore made chorizo is always perfect as are the carnitas which are served every fin de semana (weekend). Furthermore, this is by far the cleanest of all the places I have visited for my work. This place has not only changed owners and names, but quality as well. I could smell the meat case from the front door. The food was not as fresh and cleanliness does not seem to be a priority. Like the new look, but you don’t eat the decorations.